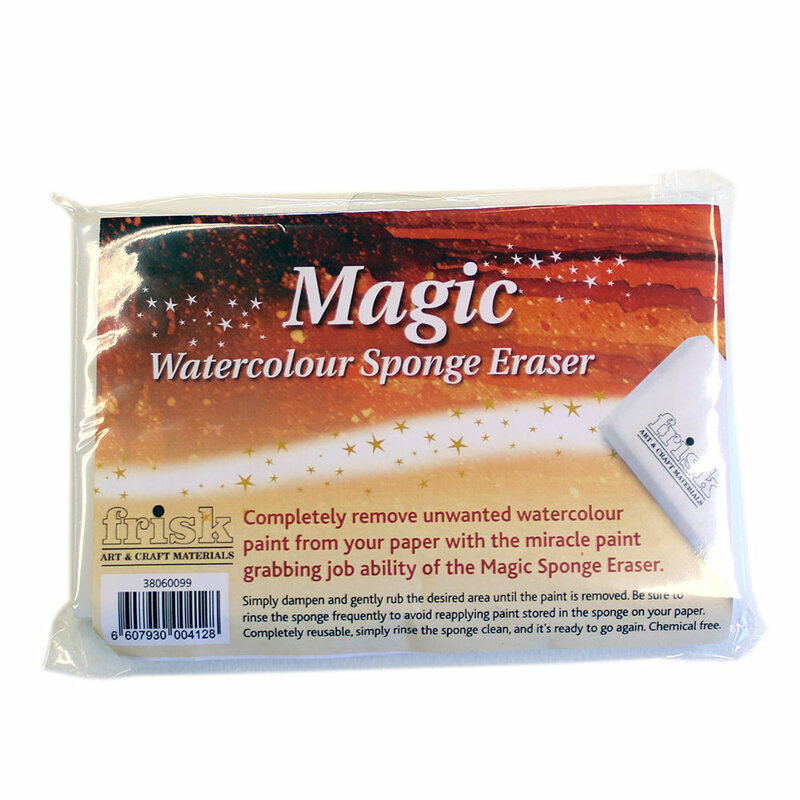 Completely remove unwanted watercolour paint from your paper with the miracle paint grabbing property of the Magic Sponge Eraser. Simply dampen then gently rub the desired area until the paint is removed. Be sure to rinse the sponge frequently to avoid reapplying paint stored in the sponge on your paper. Completely reusable, simply rinse the sponge clean, and it's ready to go again. Chemical free.